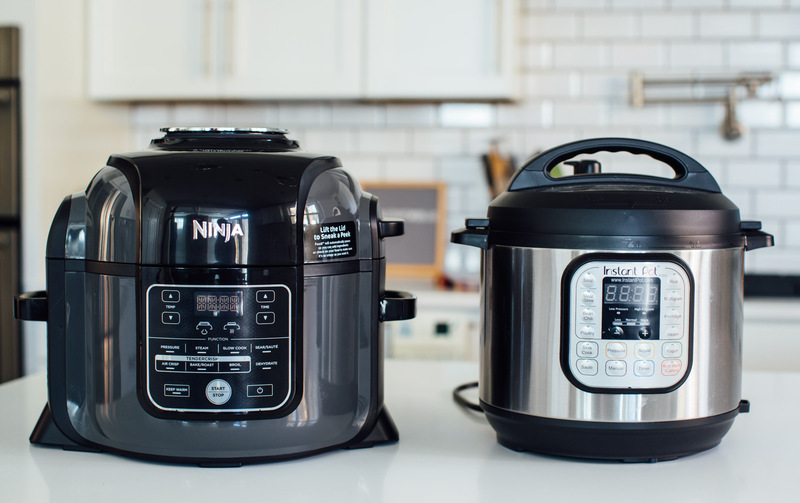 I have been testing out the Ninja Foodi because I’m trying to decide whether or not to get rid of my Instant Pot. I tested the Ninja Foodi out for a full week and made all our meals in it. I’ve put together an informative pro and con list for each and my final decision below. Perhaps this will help those of you who are still wondering whether or not you should get an Instant Pot. There is definitely more and more options out there starting with this Ninja Foodi! Oh, this is not sponsored. I bought both machines myself so you can trust that this review is 100% unbiased. What’s different about the Ninja Foodi? It’s a pressure cooker AND an air fryer AND dehydrator. It does everything the Instant Pot does (sauté, slow cook, pressure cook) and MORE. It’s basically four small appliances in one. A slow cooker, a pressure cooker, an air fryer, and a dehydrator. Why did you get the Ninja Foodi? 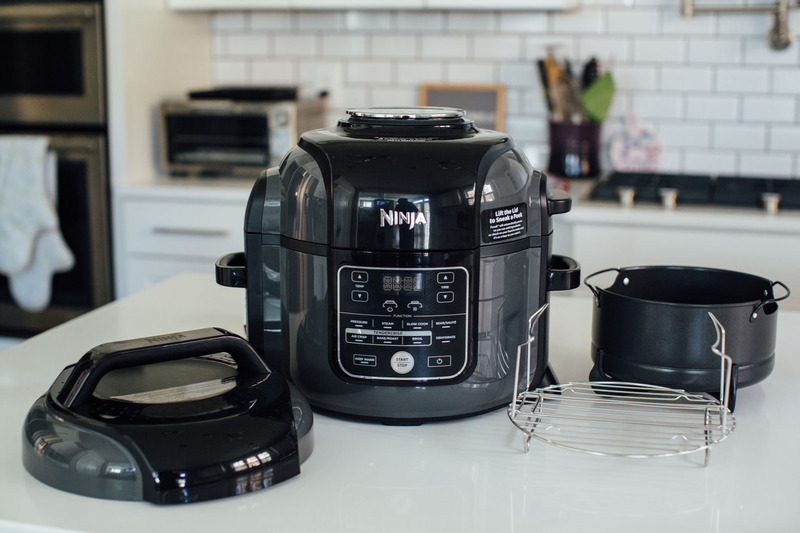 I got the Ninja Foodi because I have wanted an air fryer but I really didn’t want to buy another small appliance so I’m hoping that the Ninja Foodi can take place of my Instant Pot. I have too many as it is and while I have the room for it, I just didn’t want to use up that space for a machine that I may or may not use often. What comes with the Ninja Foodi? You get the nonstick pan, the fry basket, the wire rack, and the pressure cooker lid. How much is the Ninja Foodi? So, it’s not cheap when you compare it to the Instant Pot BUT if you think about it, it includes an air fryer. So that’s kind of like you buying an Instant Pot AND an air fryer separately. The cost ends up being the same, if not more, depending on what brand air fryer you buy. The Ninja Foodi cost me roughly $193 including tax. Retail price is $229 but I bought it at Bed, Bath, and Beyond so I was able to use a 20% off coupon. However, on Amazon, it is now $179.99! Why didn’t you buy it at Amazon? Well, because Amazon didn’t have it for 20% off (but now it’s actually cheaper than BBB at $179.99) but the main reason was because there’s two different models on Amazon and it’s confusing which one you are actually going to get. Some of the product photos show it has the dehydrator function/button but then some of the product photos show that they don’t. So I didn’t want to order this giant machine and then have to ship it back if I got the one without the dehydrator. See the photo above where this one obviously has the dehydrator option. There are models apparently that don’t have that button. It was just easier to buy in store somewhere. 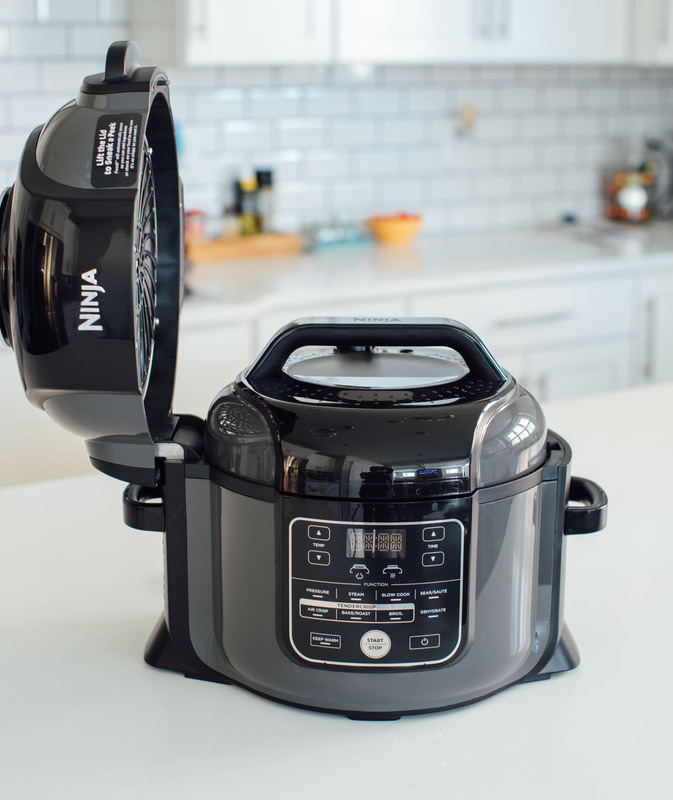 I was very eager to test this out first because if I got rid of my Instant Pot, I would need the next pressure cooker to perform like the Instant Pot. I’m happy to report it worked just as well. I did have an issue with the seal/vent valve but it only happened once so it might’ve been a fluke/user error. I’ve never used an air fryer before this machine so I have nothing to compare it to. I’m very impressed though with how little oil you need for everything to cook and get crisp. I made my three ingredient nuggets in it — dropped the meatballs in raw and didn’t even use any oil. They came out so crispy! We’ve made scallops in it, chicken tenders, asparagus, broccoli, and more! The double lid; the air fryer lid doesn’t come off so if you are using the pressure cooker, the air fryer lid stays open. See photo above. I don’t like that the main insert is nonstick vs. stainless steel like the Instant Pot. Because you are putting the fry basket into it, I feel like the legs of the fry basket can easily scratch up the nonstick and with use overtime, it might start to peel. If you use the air fryer, you have to wash both the basket and the nonstick insert it sits in. Double clean up is no fun. The seal and vent valve is more finnicky with the Foodi. You have to really make sure it’s on seal before you start it otherwise it starts to “leak” a little when it comes up to pressure and starts releasing a lot of steam. I ended up having to use a tong to keep it on the sealed side until it came up to pressure. That might’ve been a fluke though and user error. There aren’t presets on the Ninja Foodi so those of you that aren’t sure about cooking times might find that this trial and error isn’t for you. Personally, this is no big deal for me because the machine comes with a general cook time template and also I’ve cooked enough with a pressure cooker to know what times to set for each. The air fryer; you can lift the lid during cooking to check up on it. It only comes in one size right now. 6.5 quarts; which is decent for our family of two but I know some people have an 8 quart Instant Pot. Sometimes with chicken dishes, I have to cook them in two or three batches because of the small basket which makes dinner time drawn out. The air fryer actually cooks a lot faster than I thought too. Most things come together in half the time. Though both the air fryer basket and nonstick insert look “small,” they are actually 0.5 quarts more than the Instant Pot. I think looks are deceiving because the Foodi is short and round while the Instant Pot is tall and narrow. Ah, the machine that started it all. The good ole Instant Pot. I honestly love this machine. I used it plenty. I found myself to use it more in the cooler months though because I love a good cozy roast. There are presets for those that are nervous about not knowing about cook times. If you just want a pressure cooker, this is really honestly the only machine you’ll need. It’s smaller so easier to store although I know some people think even the IP is too big! It has the ability to slow cook too so again, if you need space and don’t want two appliances, the Instant Pot is a good option. Multiple size options. 3 quart, 6 quart, and 8 quart. Price; you can always seem to find it on sale on Amazon for like $89.99 or similar; especially during flash deals and Black Friday. If you’re looking for more than a pressure cooker then the IP definitely doesn’t do it for you. If you want an air fryer or dehydrator, the Instant Pot doesn’t have that. Sealing issues with the Instant Pot seem to be the biggest issue I’ve heard. The ring is super finicky. I’ve had one incident where it never completely came up to pressure and I had to release it and it basically ruined dinner cause it was like par-cooked. I’m hearing the slow cooker function is TERRIBLE on the Instant Pot; I haven’t tried it because I use my 23 year old Crockpot because I know it works. VERDICT: which did I end up choosing? So after using the Ninja Foodi to cook dinner in for a week, I ended up PACKING IT UP AND RETURNING IT. Don’t worry, I kept all the packaging and washed it up real good. I just couldn’t get past the size of the beast (and its weight) and I didn’t see myself actually using the air fryer THAT often. And the fact I would have to be lugging out the machine just to use the pressure cooker wasn’t appealing. Additionally, I felt like the air fryer was more like a broiler than anything else. Some people said if I had a convection oven, I didn’t need an air fryer — slightly disagree. While the air fryer does push around hot air (it has a fan) like a convection oven, it does cook differently. The final product is crisper than a convection but that might be because the heating element is literally on top of your food — hence why I think it’s more like a broiler. So yep, I’ll be keeping my Instant Pot! Now that I’ve actually used an air fryer, I don’t think I’ll be buying one. I’m happy with my pressure cooker and slow cooker! I’m sure I’ve missed something and I’m sure you’ve got questions. Feel free to ask below and I can try my best to answer! 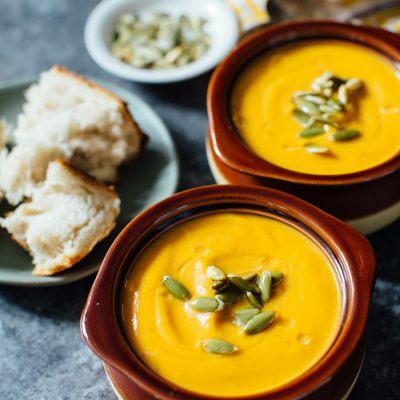 These recipes can be made in either the Instant Pot or Foodi (on pressure cooker mode)! Thank you for your unbiased review! This was very helpful and I appreciate the things you touched on and confirmed some of the thoughts I was already thinking. Great review! I appreciate your opinion, but as far as product testing, you didn’t really pass the test. You don’t know if the slow cooking option really works in the Instant Pot because you heard it doesn’t, so you’ve never tried it. You don’t really care for fried food, so you don’t have any opinion on the air frying option of the Foodi. See where I’m going with this? That being said, I don’t own an Instant Pot, but I do own a 4 quart electric pressure cooker of a different brand, and I loved cooking certain things with it. I received a Ninja Foodi as a Christmas gift, and I love cooking a lot more things in it. You can pressure cook meats, like chicken, and then air crisp the skin, or you can totally cook them with just the airfryer. Fried chicken in the Foodi is delicious…the skin is crispy and the meat is sooo juicy. I wanted a larger volume pressure cooker, because I like to cook extra foods for lunches, and the 4 qt I have just wasn’t big enough for good sized batches of soups and things. The Foodi, being a 6.5 qt pot, is big enough, though. The fryer basket for air frying is on the small side, so just as you had to do, I have had to do two separate batches at times, too. As for the enormous size of the unit as a whole, I don’t find it that much bigger than the 4 qt. Pressure cooker I already had, although it is a bit taller, it’s not that much bigger. I had a NuWave Oven Pro cooker, and THAT thing was big! I bought my son an Instant Pot for Christmas, but now that I’ve owned and used the Foodi, I wish I had gotten him one of those, because I think he would get more use out of it. Anyway, it all depends on individual preferences, and although I love my pressure cooker, the Foodi is much more versatile. Why would you want to pressure cook something, and then put it in the oven to crisp it up, when you can do it in the same appliance? If someone isn’t going to use the pressure cooker option, I’d probably suggest a stand alone air fryer, because they might be roomier. I have not used the slow cooker function on either of mine, because pressure cooking is faster…I like fast. I haven’t used the dehydration feature yet, either, so can’t offer an opinion on that. The ceramic coated pot and fryer basket clean up like a breeze, but the detachable diffuser on the bottom is kind of hard to get clean, even after soaking. I have had my Foodi for about three weeks, and I haven’t cooked with anything else. Thank you for honest opinion. I was waivering on getting the Ninjia Foodi now I can feel better with just the InstaPot. I also had the food smell in my pot, but found a small box of baking soda set inside between usage works wonders. Thank you again. i appreciate your input, but I find that the thing about the differences between instapot and foodi is entirely based on your needs. For instance, I wanted an air fryer and to try a pressure cooker, and my crock pot of 15 years keeled over. So I had to get one of those too. I didn’t want to go out and buy three devices, because my kitchen is small. The only detractor I found of the Foodi was trying to use the pressure/slow cooker functoins with both lids present. But I solved that by getting a small, rolling cart to put it on. In fact, I like it’s shorter height so much that I can see I’ll use the foodi more. I didn’t see when your review was posted, but there is now an 8 qt foodi available for folks as well. Air Fryer – the first thing I did was fry up some fries. Yes, it’s probably what a lot of folks do, but did it anyway. They were perfect. They were frozen, so there was very little work. I did think it took longer than I expected to get them the way I wanted, but that may have been a personal preference. Since then I have used it to fry chicken breasts. My cholesterol level dropped in happiness, at the delicious chicken with so little oil. I’ve been frying my chicken breasts the same exact way for 30 years and to find a better way is amazing. They were juicy and tender and we gobbled them up. My next task for the fryer will be pork chops – because I don’t like oven baked pork chops. I’m sure they will turn out just as well. Crock Pot: the next thing I made was a beef stew in the slow cooker. Now I’m not a huge beef stew fan, but hubby is. I can honestly say, though, that it was the BEST Beef stew I’ve ever eaten. The meat was tender, the vegetables were just right. The recipe also came from a Foodi recipe book, which I used as a guideline and made my own tweaks to it. Hubby loved it better than my last beef stew made in a regular crock pot cooker. Do I think it’s better than a crock pot? I have mixed feelings. The low setting is too low, and the high setting seems perfect for cooking, but not low enough for keeping things warm thru the day. Otherwise, yes, I do like the slow cooker portion. Pressure Cooking: Now let me say up front – I’m a newbie for pressure cookers. My hand shook when I did the “water” test. But, alas, I was successful. I moved on to a chicken. yes, I jumped in with both feet. Did I do as well as I did with the stew? no. That was definitely user error, however. So, the other night, I pressure cooked some chili. Now I have always made chili in a slow cooker, so I could put it in, leave it, and have it off and on for a day or two. I cooked this, we each had a bowl and were amazed at the flavor. Either I had done a better than AMAZING job with my spices, or this Ninja did an amazing job cooking it. We used the slow cooker portion periodically through the next few days and we thoroughly enjoyed every drop of the chili. None went to waste. That is the first time I made a full pot and every drop was eaten. My husband had at least 5 bowls yesterday and complained about eating too much, but that it was so good. Saute: Saute is an awesome feature. I brown my meats using this instead of my stove now. It’s HOT. When I wanted to heat up that big pot of chili faster than the slow cooker, we used Saute – that worked as well. Brought it to a boil faster than I thought possible. Combining features – as mentioned by another poster, in the Foodi you can use the air fryer not just to make fries, etc. You can also use it to brown cooked meats if you want it to brown AFTER it’s cooked, rather than before (for instance a roast you might use saute with before cooking, but a chicken you would brown after). You also have the amazing benefit to use broil, a feature I don’t think a lot of other cookers have. The only time I haven’t “combined” features to cook is when I make french fries, but then, not much to combine. As with all air fryers, I do recommend using a light olive oil spritz to add flavor, and proper texture to the foods. All in all, I’m super happy with my foodi, however, like I said in the beginning, the choice between a Foodi and an Instapot is based entirely on your needs. You obviously doesn’t NEED alot of the features that I prize on the Foodi. (That probably means you’re a better cook than I am). Could I survive with the Instapot, a crock pot and an air fryer? Sure. If I knocked out the wall of my dining room and made it part of the kitchen. But, I really do appreciate having all of those items in one. So the moral to the story – buy what you need, and not a penny more! It’s always the best way to make it in our world. If you have a need to replace a broken down crock pot like I did, and want to try all of these items, splurge for the Foodi. You won’t be disappointed. If not, Get which of those you need and enjoy every moment of it! I have 3 pressure cookers. I am not a youngster and cook a lot. I cook a ziti recipes in any pressure cooker in 7 minutes. Then quick release. I watched a demo on the ninjitsu foodi and can’t believe that they said 20 tp 30 minutes for a ziti recipe. Thank you for reviewing these two items. I was looking at the Foodi, but I wasn’t sure just how useful the air fryer would be for me. I loved reading your pros and cons I think if I need something crisped, I already have a small convection oven with a broiler I can use. Hi I have the Ninji foodi. Received it for Xmas. I love it. Made beef stew and my husband said it was the best he ever tasted. Even better than his mom’s. Also did a whole chicken and was juicy and the crisper was great. Never had a pressure cooker, was afraid but not any more. Got rid of the crock pot, fryer, and instant pot. Oh the chicken soup from scratch was fabulous. First try. No more can or boxed. Thank you for your comprehensive review. I will wait for it to come down in price a bit. I love my air fryer…which I use for everything I want crisp…chicken strips, potatoes, fish…almost everything, and I use my instant pot for soups, pastas, ribs and more. My poor oven is now a storage unit (except for baking). Good luck with your future cooking experiences. I know this post is kind of old but want to add my experience for those just now doing research. Hands down, Ninja is the way to go! I did hold out and wait for the 8 qt. to come in stock and got that size. If I remember correctly, the footprint of the 8 quart is the same as the 6.5 quart. It’s just a little taller. I have standard countertops and cabinets and have no trouble pulling the Foodi out far enough to have the attached crisping lid up while using the pressure lid. I had never considered an air fryer, but actually won one at an event several months ago, so I tried it out and found it useful enough that it earned a place on my (limited) countertop next to my large stand mixer. 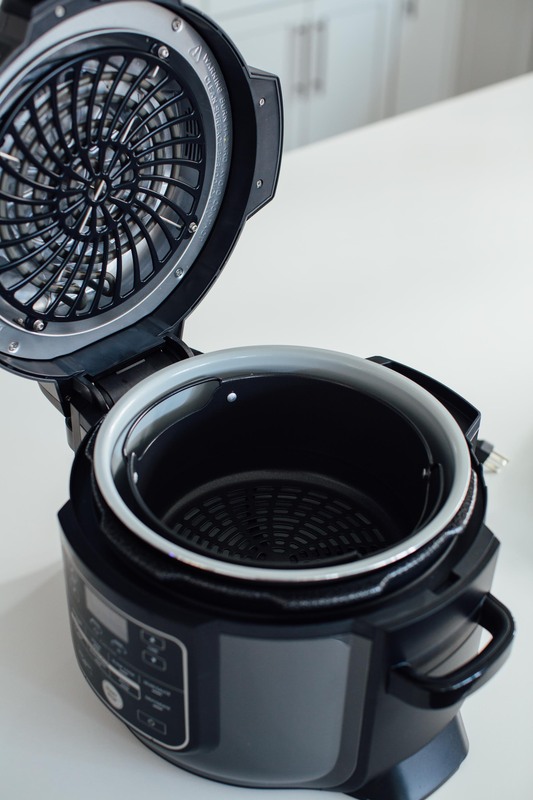 I had been interested in an electric pressure cooker when I won the air fryer, so I started researching them and discovered the Foodi as an option. I ended up with the Ninja and love it! I gave the air fryer to a co-worker and moved an embarrassing number of various sized slow cookers to the basement (keeping them for use at pot lucks and during the holidays). I used the cabinet space freed up by moving the slow cookers to MOVE MY STAND MIXER OFF OF THE COUNTER -something that has NEVER happened in the 30 years that I have owned stand mixers. That’s how much I love this appliance. In addition, the freed up cabinet space also holds the Ninja accessories and pressure lid. Ultimately, I ended up with MORE counter space with the Foodi in place than before purchasing it. I could easily see the Ninja taking the place of a toaster oven in terms of functionality. It has bake and broil functions that could easily accomplish what a toaster oven does. IMO, this brings the number of separate appliances that it can replace up to 5. As far as performance, everything I have made has turned out great! I don’t see the point of turning the oven on to finish a pressure cooker recipe when the Foodi can do it before the oven even has a chance to warm up. I have baked, air fried, sauteed, broiled, and pressure cooked with excellent results. I have not yet tried the steam, slow cook, or dehydrate functions. I am an experienced cook who has never felt the need for convenience appliances or frozen convenience foods such as chicken strips, etc. I did not even own a microwave until I became a step-mom to two teenage boys! So far when using the Foodi, I have used my own recipes. I had no experience with electric pressure cooking, but still managed to achieve excellent results. I look forward to trying some of the recipes in the cookbook that came with the Foodi and experimenting with desserts in it. For me, the variety of functions available with the Foodi make it the better choice. It truly does have the versatility to allow you get rid of lots of uni-tasking appliances. The only thing the Foodi hasn’t replaced is my SMALL rice cooker, which I pull out and use for rice (we don’t eat it often) and small batches of soup that I like but my husband doesn’t. The Foodi has definitely earned its place on my countertop! Used our Foodi for the first time yesterday to make hot wings. They turned out great and clean up was ridiculously easy. Having used this machine only one time I am extremely impressed with it. I have grown up with pressure cooked food since I was a child. My folks used a stove top Presto for as long as I can remember and when my wife and I got our own house we had a Presto of our own until we purchased an electronic pressure cooker 20 years ago. Since then we have purchased two other pressure cookers, both of them electric. We still have one and I sent the other one back due to inadequate usage directions. Many of the items that are purchased from overseas are plagued with this problem. When we started doing our wings it was our first experience with hot air frying and we were impressed with the fact that the cover and the pot itself hardly became even warm. Frying at 390 degrees, we could still place our hand on top of the cooker. The Foodi is built and insulated really well. The instructions are complete, even for someone who is unaccustomed to, or afraid of, using a pressure cooker or machine that will do all that this one does. Read the directions completely and pay attention to the hints that are offered. While you never open the lid while pressure cooking or while the unit is under pressure, the fact that you can check the progress of the food you are preparing when hot air frying, is a great feature, especially when you are just learning how to use the Foodi and want to monitor the process. 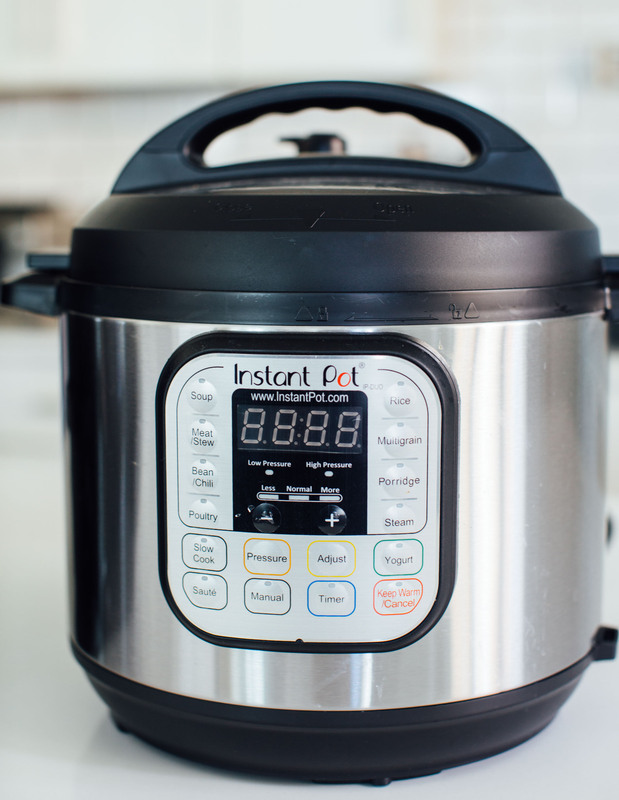 I have never used an Instant Pot but all of the pressure cookers I have used became quite hot to the touch and certainly did not have all of the features this thing has. Yes, it is large and heavy, but it takes the place of a whole bunch of appliances, and if you get the correct model, it even has a dehydrate feature. Beef jerky anyone! I will store it in my pantry and bring it out to the counter when I intend to make something. Whether it be bean soup on a cold winter day, scallops, vegetables or french fries, I am looking forward to trying out the various functions. I am planning on baking some cakes and some pies in it also! There are many Foodi cook books available and for those that are interested in the Keto type diet there are cookbooks also. I just can’t grasp how one cannot appreciate the potential the Foodi has and the fact that you can have some fun cooking up some really good meals or just doing snacks or mac & cheese, or whatever. If you are totally unfamiliar with pressure cooking and/or air frying take your time and check what you are doing or have a friend help you. You’ll probably be able to find someone to help that has one of these. There is also a help line on the web and a phone number to call if you have questions. Try some different things as you go and have some fun! This is really a great review! It is an honest, practical and to the point assessment of your experience with both appliances . I like how you balanced your cooking needs with the capabilities of each machine and stated the reasoning for your choice of the Instapot over the Ninja. You had less use for an air fryer which lead to the Istapot choice. As a Southerner, I would use the air fryer a tad bit more than most-LOL. So, my choice is for the Ninja. Your review made it easy for me to choose..Thank YOU! Thanks for your review. 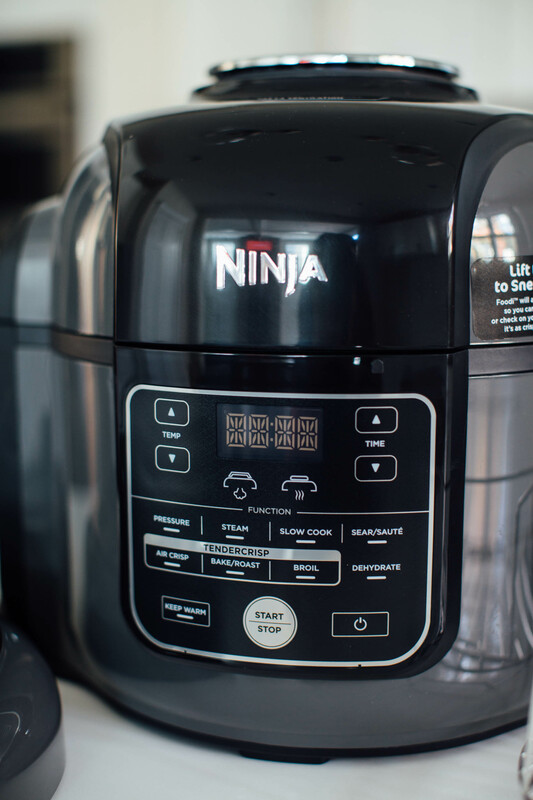 I bought my Ninja Foodi yesterday to replace my space hog, Nuwave oven. I have been putting off buying an Instapot because I didn’t want one more small appliance. Hopefully, this is the the best of both worlds. I also will be replacing my food dehydrator and maybe my slow cooker…bonus! I haven’t used the Foodi yet, but I am anxious to get started. I was raised with pressure cooking, but hadn’t done so in many years and I look forward to fabulous beef stew again! In your test of the Ninaj foodi did you find it was making loud noises when in other modes besides pressure cook. No, it’s actually a really quiet machine..I was surprised by that. Thank you for your honest review, I watched the infomercial and wondered if it would be worth it. 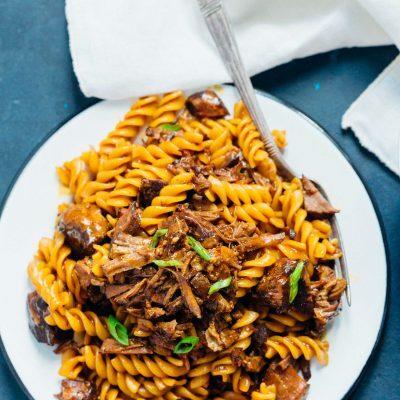 I don’t think I would use the extra features and the expense and size of the Ninja Foodi as you described I will be sticking with my instant pot, I started out using judtvthe slow cooker and was told by family and friends I was wasting the best reassure cook feature, so I tried it and now do both. Hello! Thanks for the feedback. I currently have an instant pot (8 qt) and air fryer. I’ve been debating if I could replace both with the foodi, one of the most frequent things I make in my instant pot is cold start yogurt-does the Foodi have a yogurt function? I don’t think the Foodi has a yogurt function. I see a recipe for the one pot but I have a ninja. Just want to know how to convert to a ninja if it says use the meat stew button? I totally disagree! The Ninja Foodi 8 qt is the way to go! I’ve cooked chicken, whole, tenders, plain and BBQ. I’ve gone from pressure cooking to Browning and crisping in the same pot. For some, size might be an issue, but this takes up less space than an instant pot and an air fryer. Looking forward to one pot ribs and buffalo wings!! Buy what you will USE, and enjoy cooking! I’m glad you went with what you love! Cleaning the Foodi ? If the lid for the air fryer stays attached, how easy it to clean, you can’t put the appliance in the dishwasher. Parts come apart except for the air lid cleaning concerns me. I currently have a pressure cooker, air fryer, large crock pot and a George Forman grill which I don’t care for because of the grease drip pan design. I want to get rid of some of this stuff and combine into one because I have limited space. Now that I’ve read your article i’m leaning toward the Instant Pot. Does it slow cook? Thanks for your time and answering my questions. You can wipe down the air fryer lid and you can remove the inserts of the Foodi so you can definitely wash it. The Instant Pot slow cooks, yes. I was simply looking to buy one or the other. Your commentary is MUCH better than the ad-related links I’ve found. Thank you! I am looking for information about the dehydrate option. That option could potentially save space on my counter…..Any thoughts? I didn’t try the dehydrate option. I bought it merely to try the pressure cooking and air frying option to help me decide if I wanted to get rid of my Instant Pot or not. Thank you for your unbiased review, I respectfully disagree though. I had a PKP (different brand to the instant pot) and found it quite fiddly with the pressure, a lot of the time it was difficult to seal properly and very easy to get burnt on the masses of steam it spurted! I also didn’t like that everything I made was either too ‘wet’ or soft, so I actually returned it and last week purchased the Foodi. I love it! Tonight I made the best crispy chicken I’ve ever had, in half an hour, cooked perfectly and super crisp skin. Like others have said, I think it all comes down to personal preference and what you will be cooking. For myself, I have a disability and mobility issues which means I can’t stand up to cook for long at all, and having two boys in the house that enjoy their fries, chicken etc having the air fryer and crisper option on the Foodi is perfect, and I follow a low carb, high healthy fats and protein diet so cook a lot of meat, salmon, stews, veg etc so it’s also pretty perfect for myself. 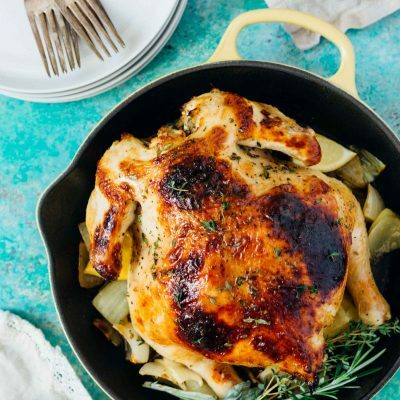 If you only need a pressure cooker then yes the instant pot is pretty much spot on, but if you also like to make crispy chicken, fries, BBQ, Mac and Cheese, Lasagne etc along with your usual pressure cooked food then you’ll absolutely love the Foodi. The beauty of all of this is that we can choose what is best for each of our households and lifestyles. I’m glad you are able to find what is best for you and I’m glad I found what is best for me! Thanks for sharing!